Who says it’s hard to find manpower? New bus operator hits hiring milestone ahead of September launch. Go-Ahead Singapore has hired 655 out of the targetted 700 bus captain positions. 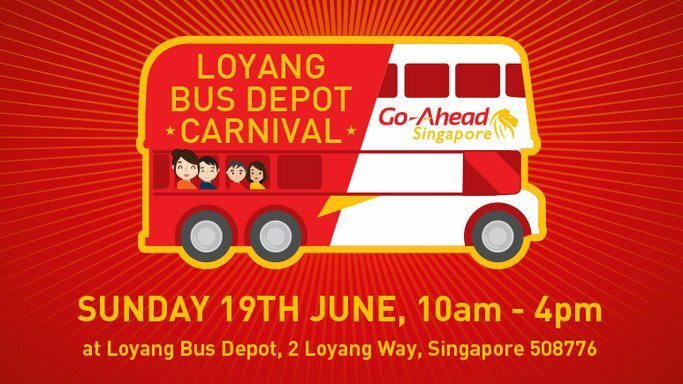 The UK-based operator reports that it has hit a new milestone and will be operating a new Loyang bus depot from the Changi Airport and Changi Village bus terminals. Go-Ahead Singapore has been in close consultation with the National Transport Workers’ Union (NTWU) in an effort to understand the local bus industry and employment concerns of bus captains. The company says that it understands the importance of building a strong Singaporean core employment base and demonstrate their willingness to design careers to attract more Singaporeans into the bus industry. Free bus and train rides. Modern facilities, good working environments and competitive salaries are part of the Go-Ahead package. Melvin Yong of the NTWU posted on his Facebook page that “Our union will continue to work closely with Go-Ahead, especially in ensuring that the bus captains transition smoothly and are well-adjusted at their new workplace as they prepare for service commencement in a few months’ time”.